A Sweet Home Chicago show is anything but ordinary. 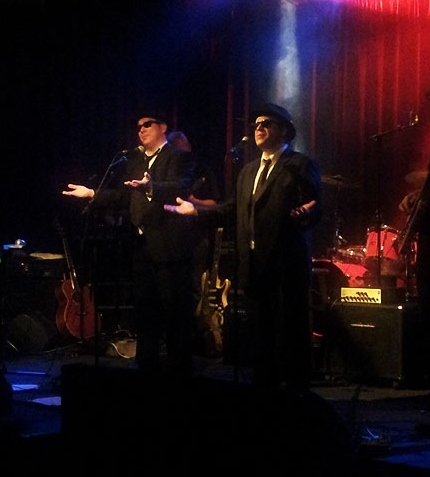 It's a high-energy party, featuring LIVE blues, rhythm & blues and soul music from the legendary Blues Brothers Band. 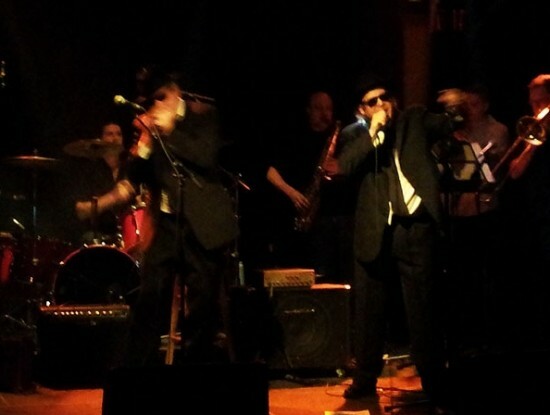 We take great care in the authenticity of our renditions of these amazing songs, capturing the essence of each one as the Blues Brothers band did. Your guests will instantly recognize these songs and that translates into hours and hours of listening and dancing enjoyment without boredom. The dance floor will be packed all night long! 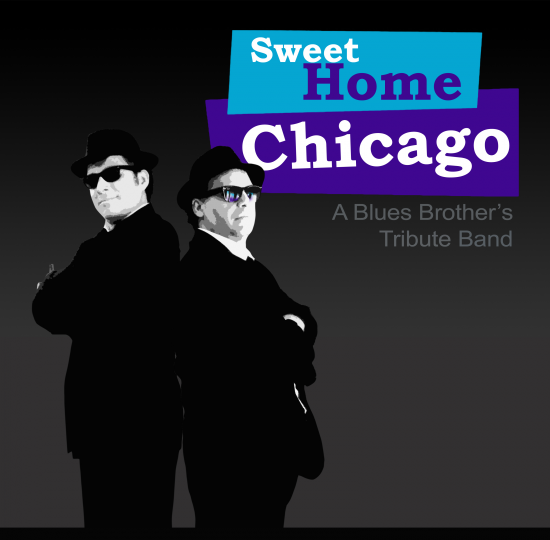 The band consists of a 3-piece horn section, a 4-piece rhythm section and a 2-piece vocal section featuring Doug Comrie and Kevin Tysick on lead vocals as Jake and Elwood Blues.